Rebecca has a Master’s Degree in Clinical Counseling from The Chicago School of Professional Psychology and earned her Bachelor of Arts in Child Psychology from Eastern Connecticut State University. She is a Licensed Professional Counselor (LPC) in South and North Carolina and has 9 years of experience counseling children, adolescents, and their families. Having worked in both outpatient and residential treatment settings, Rebecca understands the dynamic relationship between children and their parents and makes it a point to include parents as part of the treatment process. As an eclectic practitioner who is very creative and hands-on in her approach, Ms. Marcotte utilizes several therapeutic techniques including Dialectical Behavior Therapy (DBT), Cognitive Behavioral Therapy (CBT), Trauma-Focused – Cognitive Behavioral Therapy (TF-CBT), Motivational Interviewing, Play Therapy, Client-Centered Approach, and Family Therapy. Ms. Marcotte specializes in depression, anxiety, ADHD, trauma, mood disorder, and oppositional defiant disorder. 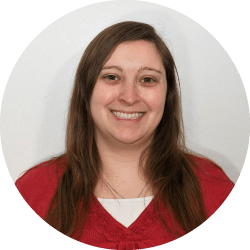 Rebecca enjoys working with children and adolescents ages 5 – 18 years old and working with their families in family therapy.